Le Bourget (France) (AFP) - US President Barack Obama led calls Tuesday for Turkey and Russia to end their dispute over the downing of a Russian fighter jet and focus instead on the real enemy -- Islamic State jihadists. It came as Obama's Pentagon chief said the US would increasingly rely on special operations forces to battle IS fighters in Iraq and Syria, where the extremists have seized huge swathes of territory including oil fields used to fund their activities. The US president said he was sure that Russia would soon change tack in Syria and back a political solution to the bloody conflict after years of supporting long-time ally President Bashar al-Assad, who Washington insists must step down. And NATO chief Jens Stoltenberg urged Turkey and Russia to find a way to avoid a repeat of the jet incident, which threatens to scupper efforts to forge a common anti-IS front in the wake of attacks in Paris claimed by the group that left 130 dead. Obama was frank about what both sides should do. 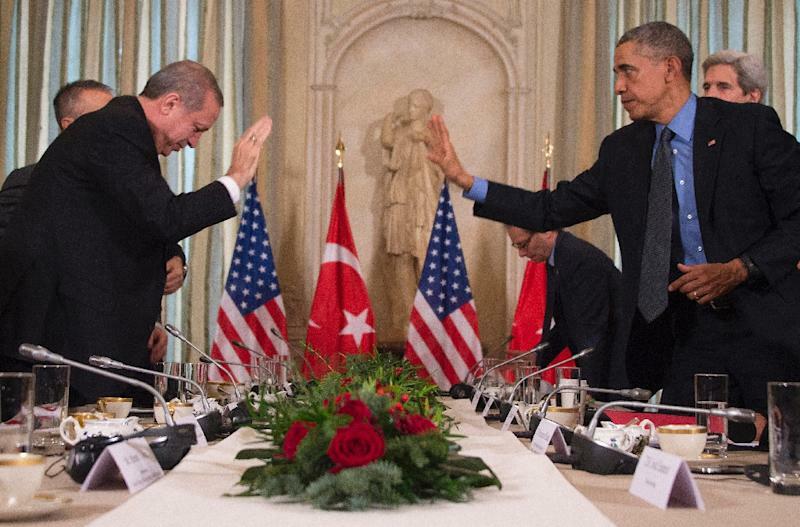 "I want to be very clear: Turkey is a NATO ally. The US supports Turkish rights to defend itself and its airspace and its territory," Obama said after meeting his Turkish counterpart Recep Tayyip Erdogan in Paris. "We all have a common enemy and that is ISIL, and I want to make sure we focus on that threat," Obama said, using an alternative name for IS. Erdogan, who has demanded that Russian President Vladimir Putin provide evidence to back up charges Ankara trades in oil with the IS group, said he too was keen to move on. "We are always willing to resort to the diplomatic language (...) we want to avoid the tensions," he said. 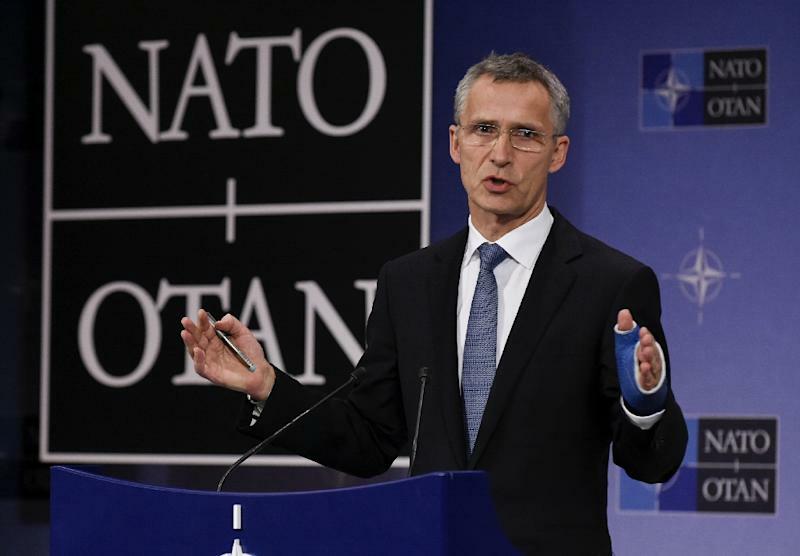 Stoltenberg, speaking at the start of a two-day meeting of NATO foreign ministers, said the focus should be on "how we can de-escalate and calm tensions (and find) mechanisms so that we can avoid the type of incident we saw last week." One Russian pilot was shot dead in Syria after parachuting from the burning aircraft, while the second was found safe and sound. One Russian soldier was killed in a rescue operation. Ministers at the NATO meeting are to review measures adopted by the alliance after the Ukraine crisis to upgrade readiness levels and reassure nervous members in Eastern Europe once ruled from Moscow that the alliance will stand by them. Stoltenberg says the changes apply globally in what he described as a "dark" security environment, with concerns over Syria looming large. 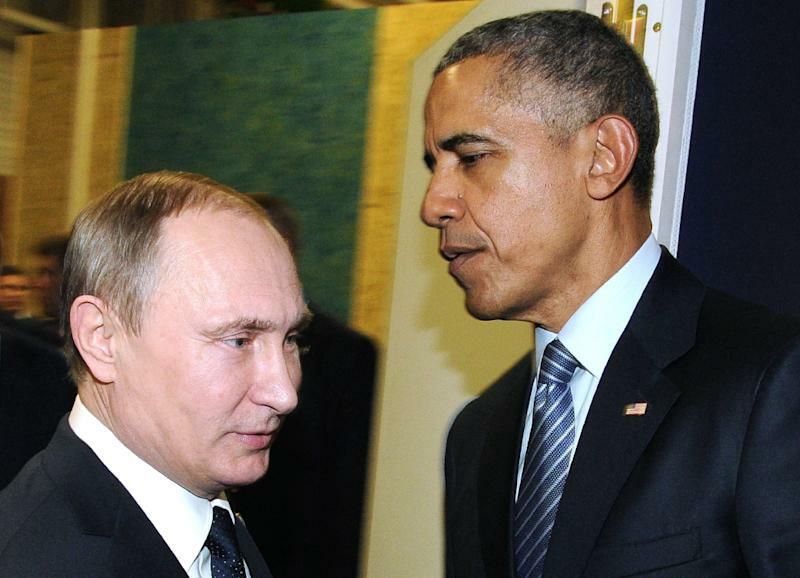 Obama, who took a conciliatory tone in a meeting Monday with Putin, said Tuesday he believed Moscow would soon realise that the cost of its military intervention in support of Assad outweighed the benefits. "Ultimately, Russia's going to recognise the threat that (IS) poses to the country, to its people, is the most significant and that they need to align themselves with us who are fighting ISIL," Obama said, using another name for the group. Pentagon chief Ashton Carter meanwhile announced Washington would deploy a special expeditionary force to Iraq -- and hinted more forces could be sent to Syria -- after more than a year of US-led coalition air strikes on the jihadists. "The international community -- including our allies and partners -- has to step up before another attack like Paris," he said, with Britain's parliament to vote Wednesday on joining the air raids on Islamic State targets in Syria. Putin said he believed the decision to shoot down the Russian fighter jet was meant to cover up Turkish involvement in the IS oil trade, sparking a furious response from Erdogan. The Russian leader had earlier snubbed a request by Erdogan to meet on the sidelines of the UN climate conference in Paris. "A claim is made through evidence. If there's such evidence, then put it on the table and we will look," Erdogan said, adding he would resign if the allegations were proved to be true. Russia announced a series of retaliatory sanctions aimed at Turkey's key tourism and agricultural sectors. In a rare interview, Assad told Czech TV that peace would only come to Syria when the West and its Middle Eastern allies -- naming the United States, Britain, France, Saudi Arabia and Qatar -- "stop supporting terrorists."